This is a kindergarten class based on an American academic program. The program focuses on science, math, as well as reading and writing, which also incorporates role-playing and group game activities. The program enables children to think for themselves and lays the foundation for them to study on their own, which will allow them to enhance their English skills. By playing and doing various activities with the foreign teacher, they will think internationally and their curiosity of various cultures and customs will grow. The goal of our program is to build the children's enthusiam and support their ability to become energetic learners. Art allows children to express their own feelings. Its a second language that develops their creativity. By creating art projects according to that month's theme and based on the seasons and various events, it allows the children to enhance their imagination and creative expressions. 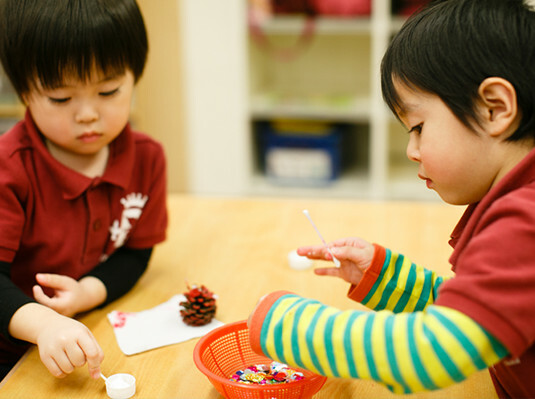 By conducting science experiments and solving math problems, as well as hypothesizing, and predicting the results, the children begin to not only gain the ability to think logically but it enhances their imagination. In addition, through enjoyment and genuine surprises it ultimately makes the learning process that much more fun. By utilizing a journal, the children can express their intentions and thoughts through pictures and words. This allows them to establish strong English reading and writing skills. For the second year, the children will learn how words are connected to sound through phonics. 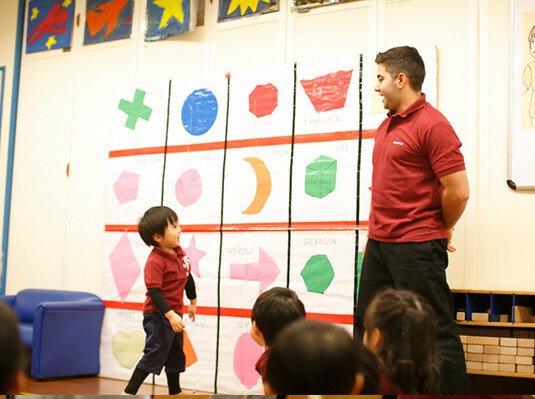 Group games allow the children to have fun cooperating as a group, which will subsequently enhance their social skills. By setting up rules and building strategies, it motivates them to develop their creativity.